Sure. You want time to yourself. We all want that. You keep hearing how you need time to yourself so that you are refreshed and ready to be the best mom ever! But…seriously? All those tips? Those involve actual time. Or older children. It can be next to impossible to make time for yourself as a busy mom, especially with children under the age of 5. And you probably don’t believe all those moms who claim that they get to read or get a pedicure or shower without an audience. Heck, you’d give your right arm just to pee without an audience. Trust me. I’m right there in the trenches with you. Not only do I need time to myself because I get worn out, I’m an introvert in that I recharge with quiet and alone time. I honestly cannot function without time to myself. I get seriously cranky (which is putting it nicely…) and blow small things out of proportion when I don’t get to recharge. So because I know that about myself, I find ways to get that time. 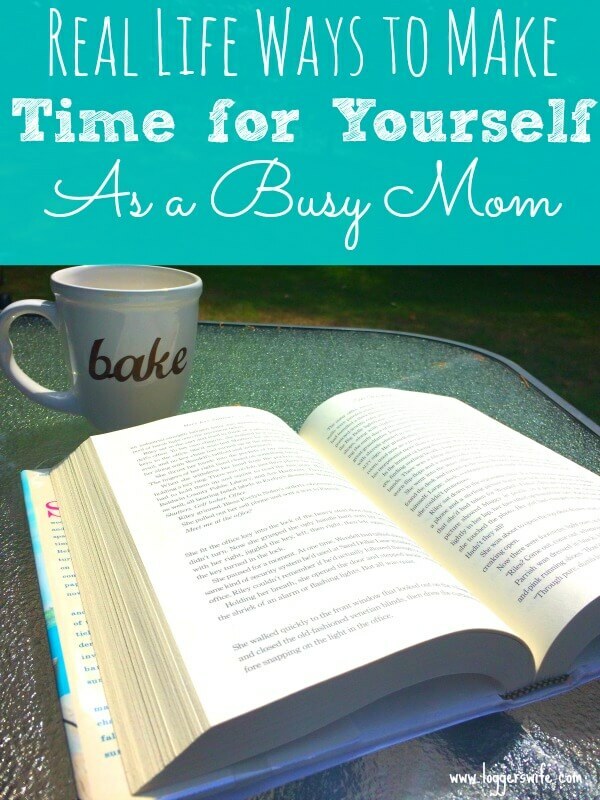 If you are a busy mom as well, here are real life ways to get time for yourself. Yup. I went there. In 2016 when so many people consider it inappropriate or unsafe to allow kids to play outside by themselves, I am encouraging it. Obviously, if you don’t live in the best neighborhood or don’t have windows to your yard or your children are too young, this one won’t work. For me, it’s amazing. We live rather rurally so neighbors aren’t really an issue. Our play area is right at the end of the deck so I can see it perfectly from my kitchen. I either work in the kitchen when my daughter is outside or I sit on the deck. Nap time is my almost guaranteed alone time. Obviously, there are days it doesn’t happen when one or both children are not cooperating. But generally speaking, that is when I can watch a non-animated TV show, read, work on crocheting, blog, etc. Some days I get two hours, some days I get 20 minutes. Either way, I look forward to this time. Yup. I went there…again. Sometimes the TV is an excellent tool. Especially on rainy days when you can’t send the kids outside. Frozen is still popular in my house. That is my go to. My daughter also really likes the Veggie Tales movie, Beauty and the Beet. Now that my daughter is four, she’s pretty good at navigating the Roku remote herself and knows what she is allowed to watch. We typically eat lunch at noon so at 11:30 I let my daughter watch a show and I head off to another part of the house for some quiet. If your kids are 2-6, they most likely want to be helpful. Find something they can do for you. Fold towels, wash windows, scrub the bottom of pots with baking soda paste (it helps get build up off your pans and gets rid of hot spots), whatever you can find for them to do safely alone. Then leave them alone. Don’t interject. If you have to refold towels later, so be it. Sit down where you can see them but do something for yourself, even if it is reading just one chapter of a book. Urgh. I know. This one. No one likes this one. But do you have any idea how much better I feel when I wake up before my kids? Even if it is just 20 minutes, I feel so much more ready to “mom” when I don’t wake up to a hungry baby and a melting down preschooler because she can’t get the TV remote to work (true story). When I first started trying to get up before my older daughter, I really found the Make Over Your Mornings course helpful. It helped me see the purpose for why I was getting up before her. With a purpose known, it made it so much easier. It is definitely harder with a baby that wakes up to eat at 4am and sometimes still stirs in the night but I try to get up around 6:45am so that I get some quiet before the chaos (the older child gets up at 7:30 and the baby between 7 and 8). Huge, huge difference in my day and in my attitude. There you have it. 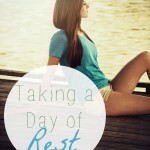 Six real life ways to make time for yourself as a busy mom. Not all of them will work for all people. Find the ones that work for you and run with it! 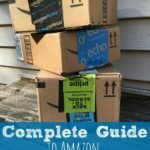 If you have a way that works for you that I haven’t listed, I’d love to hear about it! I love the idea of sending the kids outside. Kids today don’t spend near enough time in nature or just outdoors getting fresh air. I guess none of us really do :). I use the TV or a video game as well, probably more than I should. My son absolutely loves screens, and it allows me to get some work done. We are working on finding balance with it. Great ideas, especially the one about sending kids outside. We live in a building apartment, so I can’t really send my daughter outside (she is only 3 years old), but when we are visiting my parents at their house, she is always playing outside in the backyard. And about tv – I have to admit, I do that almost every day. I can’t help it, just need few minutes for myself! I absolutely agree with every single one of these! 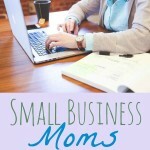 It’s so hard for moms to find time for themselves, yet it IS possible. I saw your post on our Tuesday Talk page and thought, “I’ve gotta check this out!” You see, I’m doing a webinar next Thursday on how to make time for God, and I wanted to see if a mom right in the trenches (as I’m half-in-half-out the empty nesting stage) would be suggesting some of the same things on my list. Many of these line up! Great job, keep on fighting for that alone time.. It’s easy to just throw your hands up in the air but especially for we introverts, it’s essential to our sanity! So thank you for this. I’d love to feature it next Tuesday Talk, if you don’t mind! Good stuff! Your five minute tip is so wise. In 22 years of mothering, I’ve finally learned the value of my “little minutes.” I can fold a basket of laundry in just minutes, and even read a few pages of a book. It’s amazing how much you can get done when you JUST DO IT! Oh I love these ideas, Julie! I do the same for 5-10 minutes of quiet time and it’s so needed to keep our sanity! I only allow my kids to watch TV or JellyTelly on the iPad when I need a break for myself LOL. I do send them outside a lot too, especially after homeschool is over and I know I need time for myself and they need to spend some energy on the trampoline or riding their bicycles. 5-10 minutes really do add up and make a difference!